Mayan Name: KAT / Kan. Compatibility: Lizard, Star, Road, Vulture, Sun. Lizard Mayan sign (Kan) — fertility, harvest, wealth. The meaning of the sign is the yellow seed, maturity. The patron is the goddess Mam. The ancient Maya used the image of a lizard as the embodiment of abundance, a symbol of fertility. 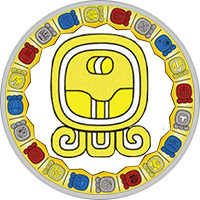 In the Mayan culture, the Lizard symbol symbolizes the time of harvest ripening. It was in the summer that ritual dances were held, calling for the help of the forces of nature, including the Dance of Mais. The Lizard sign is a symbol of a growing maize, gradually gaining strength, hence the second name of the sign is Grain. People of the Lizard sign boldly implement their plans. They have enough strength, perseverance, not to fall in front of difficulties, but their quality is most important — observance. Are able to make out important little things that are inaccessible to the gaze of other people, but which significantly affect the essence of the matter. The Lizard prefers not to hang in the clouds, but to solve pressing problems. She readily helps relatives, acts honestly and nobly in the most difficult situations. A noble nature generously shares not only his experience and knowledge, but can provide material support. Workability, diligence, practicality — qualities leading a person Lizard to prosperity. Often people of this sign are successful businessmen, famous politicians. They have the talent to make good deals, but too unwise to squander their vitality, are influenced by negative feelings: envy, jealousy. Anger and anger carry destruction, while the man of this day is born for creation. Internal contradictions can lead not only to a spiritual crisis, but also to problems at work. People of the Lizard sign should be able to control emotions, only in this case they will be able to fulfill their mission — to make the world better. In love, the people of the Lizard sign are striving for an ideal relationship. Carefully create their cozy nest, which is carefully guarded against extraneous influences. Unfortunately, they are familiar with the anguish of jealousy: painfully perceive any signs of attention in relation to the chosen one. At the same time they try to hide their feelings, they want to look strong, self-confident people. The man of this day dreams to meet a worthy partner, calm and reliable. Avoiding a society of bright people, attracting attention with eccentric behavior. He considers that the internal filling is more important, and not the outer shell. Restrained Lizard man is full of mysteries and mysteries. Every woman wants to know: what is hidden behind the external equanimity? The secret is pretty simple — a rich inner world. He is too focused on his thoughts, constantly scrolling in his head the events of the past years. Do not feel the need to express their emotions clearly, does not depend on the opinions of others. Painfully perceives criticism and remarks, but has the ability to extract a rational grain, even from the most unflattering assessment of one’s own person. Needs solitude, replenishes vitality in the bosom of nature. Woman Lizard — keeper of the hearth, disinterestedly giving her love to close people. It was created for the family, with pleasure to take care of relatives, its home is a cozy nest, a reliable refuge from the hardships of the outside world. Without regret, he sacrifices his own interests for the sake of the good of children, lives with their problems. Close people know that a woman Lizard necessarily provides valuable advice, will help resolve the most confusing situation. But for all its self-sufficiency, needs care, craves love and recognition of their talents. It is hard to endure treachery, it may become depressed.